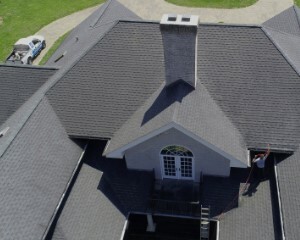 Roof Washing is another service we provide. Ever take a good look at some roofs with streaks on them? This is mildew or Lichen (a moss like growth). Cedar roof shingles can get this too, but you know what? It’s nothing a Low Pressure Washing wont take care of! 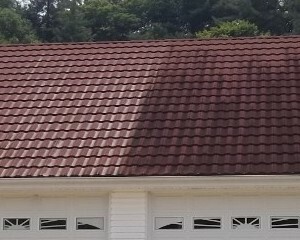 Algae — Green algae, black streaks and stains on your roof shingles can diminish the look of your home. Hiring the wrong company to wash your roof can leave you with severe damage to your roofing and shingles. 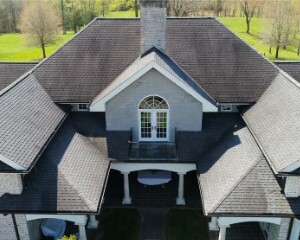 Parker’s experienced team can properly and safely power wash and clean your roof and make it look new again. Next time you need your home’s roof cleaned, call the Winston-Salem area’s most reliable name in residential pressure washing services.